Flatmattersonline How to: episode one. How to front peg balance. I am getting a few requests to show more how to’s on Flatmattersonline and not only high level riding. So I figured I would branch out with my flatland coaching sessions to instagram, then Youtube. Today I launch episode one of the Flatmattersonline how to, where I describe how to do the balancing stage of the front wheel peg balance to one of my students at my Eastney flatland sessions. Enjoy and have learning flatland. 1. The obvious to begin with, have a bmx bike with pegs. (Here Arthur borrowed my bike). 2. Turn the handlebars at a 90 degree position, notice how Arthur is stood at the beginning of the video. 3. To begin balancing, put your left foot on the peg, left hand on left grip and have your right foot on the floor sideways next to the tyre. 4. Elevate your right foot to the middle of front tyre with your left foot on the front peg. 5. As you elevate your right foot,try to be relaxed and move your foot slightly up and down on the tyre to create the balance point. (refer to Arthur’s technique on video). The key to learning the front peg balance is to get the following points aligned at the same time, relaxed with point 5, stand up straight, helps also have a focus point to look down (normally the stem/ this may different according to your stance and height). 6. Once you learnt to balance one handed, once you are comfortable. The next stage is no handed balance, use your left leg against the bar to hold the balance point make sure you stood up straight as possible and slowly take your hands off the bars. * it’s really important to remember to keep as still as possible on this trick. Refer to the video, and let us know how you get on. *Arthur appears with permission from his mum. This entry was posted in Flatmattersonline How to's, News and tagged Effraim Catlow, Flatmattersonline How to: episode one. How to front peg balance. by Effraim. Bookmark the permalink. Effraim, I am new to the site, this is fantastic for the sport. I have my work cut out catching up on all you do. Will show my kids this later today. Thanks for the comment Tom! Welcome to the site, great to see new people coming forward! brilliant, flatland needs this now more than ever, kudos Effraim!! Thank you Jay, totally agree. Every bit helps in my opinion. This is great that you are doing this! I think it’s really needed to help grow the sport. I’m going to use these, as my son now can ride pretty good and wants to start doing tricks. I know the process we learned by wasn’t really the best route, so having some solid progressions really helps. Outstanding. Can’t wait to see what’s to come. (Much like Tom I’m new to this site (well, a few months of random, previous comments on various vids.). 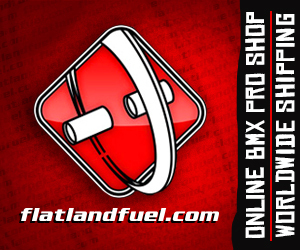 Thank you Jason, and welcome to the website and flatland! Great stuff Effraim. Looking forward to more how to videos in the future. Keep up the good work! Thanks a lot James, plenty to come. excited to see where it goes.